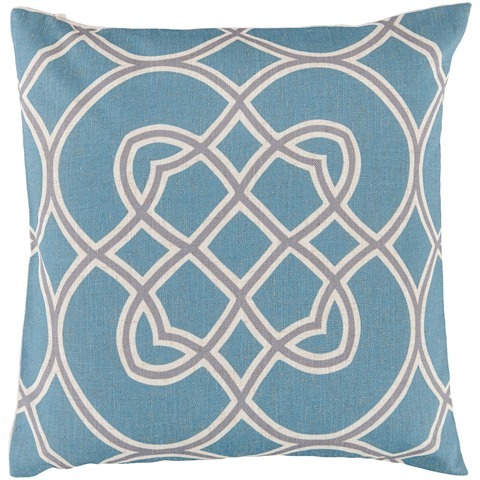 A bold geometric print with complimenting colors, the Chico Pillow offers a stylish throw pillow for any space. 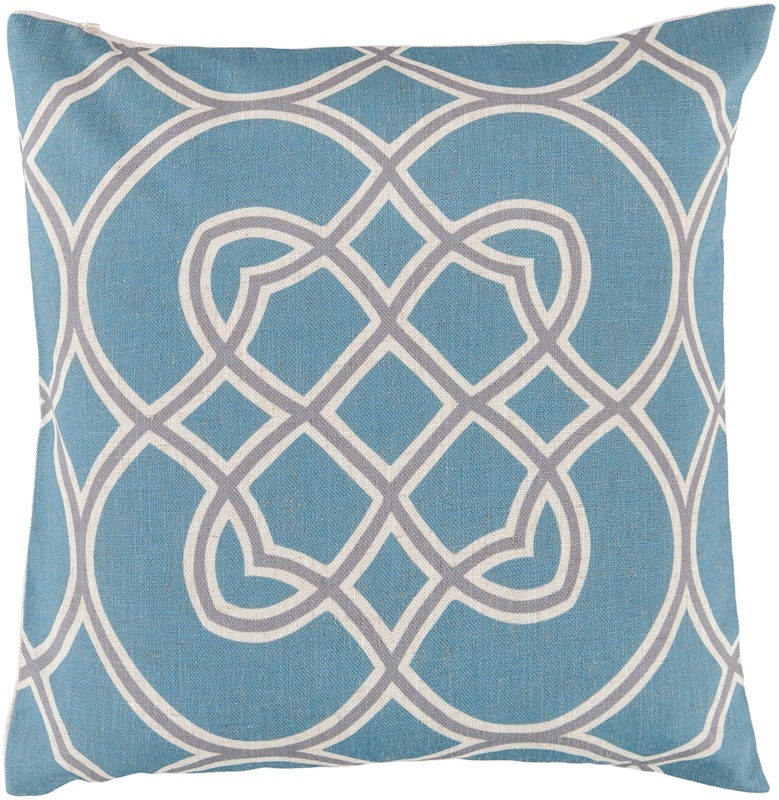 Gray scrolling pattern is lined with cream trim, which both stand off beautifully from the cameo blue background. Available with a polyfiber or Down filled insert. Cover made from 90% Polyester / 10% Linen.